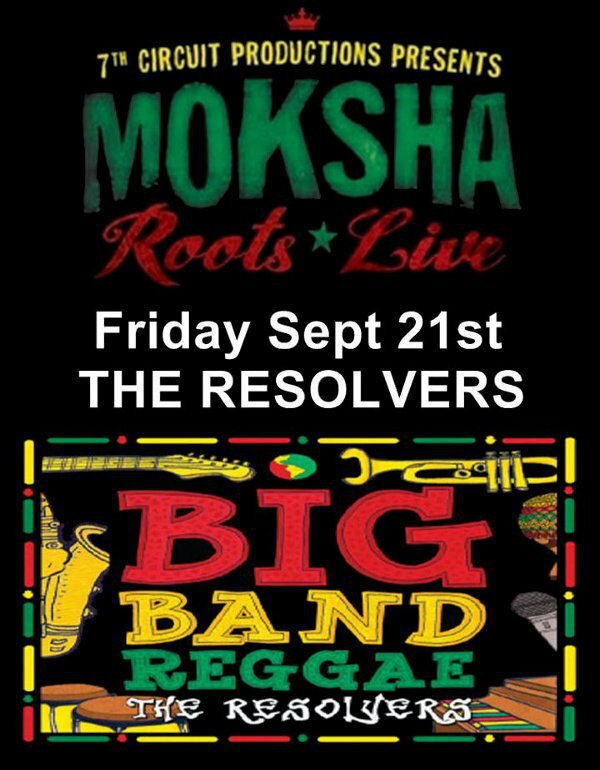 7th Circuit Productions and Moksha Family Arts Collective present Moksha Roots Live, also the official after party for The Rhythm Foundation’s Big Nights in Little Haiti. Come out and vibe with us, support this ongoing monthly gallery opening, roots jam and down tempo experience bringing together all the diverse cultural roots of Miami. Emerging from the vibrant beach town of Deerfield Beach, the Resolvers have quickly become the Premier Alt. Reggae Act of the South Florida Music Scene. They capture the essence of the Classic Reggae Sound: natural acoustic percussion, deep bass grooves, worldly drum rhythms, tasty vintage keyboards, bluesy guitar licks and multi-part vocal harmonies…then blend it with modern songwriting craftsmanship to create their own familiar-yet-purely-original take on World Music. Moksha Family presents: “THE PYRAMID SESSIONS” during..
*Moksha Roots Live* every third friday! Exotic Electronic, World, Dub, Downtempo, Conscious Hip Hop, Chillstep, Moombahsoul, Psybient, Glitch Hop, Bass, Acid Jazz, Liquid Funk & more! All performers are no stranger to the Sonic Alchemy of Musical Magic and are sure to treat your ears, hearts, & feet with Mind Expanding Grooves. In life, many people struggle with illness. This illness manifests in many forms – from a simple cold to emotional instability, or devastating disease such as cancer. Throughout history, mankind has treated sickness and disease with various methods. In medieval times, bloodletting with leeches was common practice. With western modern medicine, we have the equally-if-not-more dangerous reliance on pharmaceuticals and over-the-counter chemicals to treat our ailments. Yet in ancient times, man relied on the natural remedies of the earth, faith in a higher power, and traditional practices to cure all that plagued the mind/body/spirit complex. With the re-emergence of naturopathic and homeopathic medicine, we are seeing a return to these simple yet highly effective techniques and practices. Unity is Change and Moksha Family Artist Collective invites you to join us at 7th Circuit Studios on September 21st to celebrate the phenomenal achievements of naturopathic and homeopathic medicine, as well as the power of the mind/body/spirit complex to heal itself. 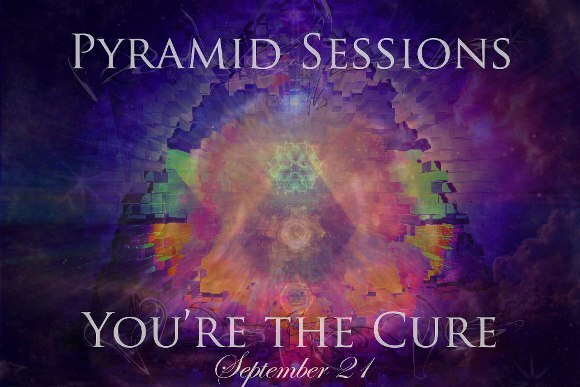 All-night “You’re the Cure” celebration at Pyramid Sessions including live DJs, visual art, firedancing, and a live performance by Unity is Change that will inspire you to bring balance to your self! As part of the celebration, talented artists (Marisabel Lavastida, Stayce Love, and more…) will be displaying pieces of their own rendition inspired by real-life stories of survival, recovery, and healing through naturopathic and homeopathic medicine and the power of the mind. Through the power of our collective spirit. Do you have a story you would like to share? Contact us! We would love for you to add your energy and intention in motivating others to awaken to their true power!! Because together we have the power to cure ourselves and the world around us! If you are experiencing dis-ease of any sort, remember — You’re the Cure!! By popular demand we will be keeping the Moksha Art Fair vibes going all year round through the ^PYRAMID SESSIONS^ events! !! FREE ADMISSION BEFORE 10:00PM ! !